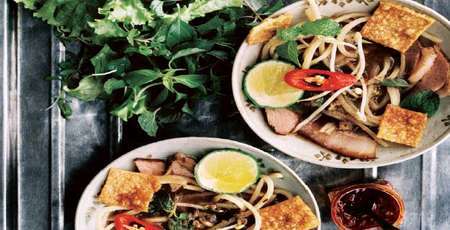 Incredibly rich, varied, tasty and aromatic Vietnamese cuisine is truly a sensory journey during your trip to Vietnam. 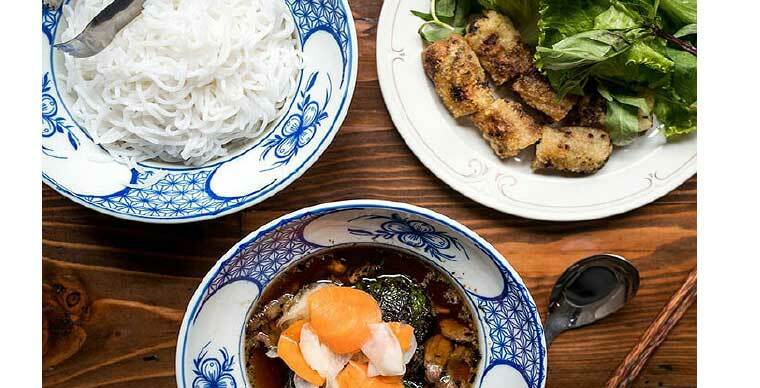 And since you will need several trips or maybe several lives to enjoy the full extent of Vietnamese culinary heritage, here are the 10 best dishes not to be missed when you come to make your stay in Vietnam a gourmet getaway. 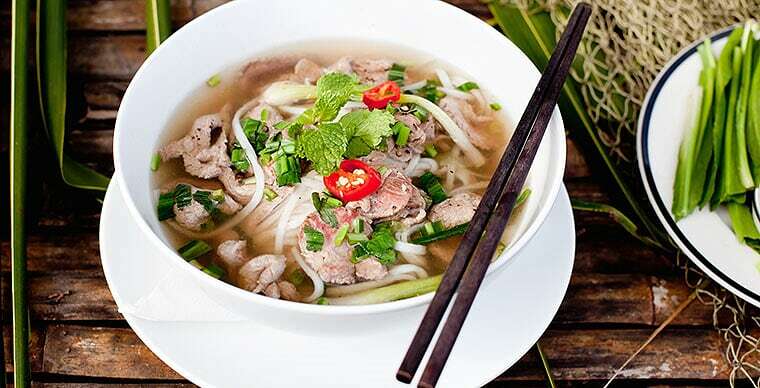 Vietnamese traditional dish, Pho (pronounced almost like the "fur") is the most popular soup that is eaten at every street corner in Hanoi in particular and throughout the country in general. 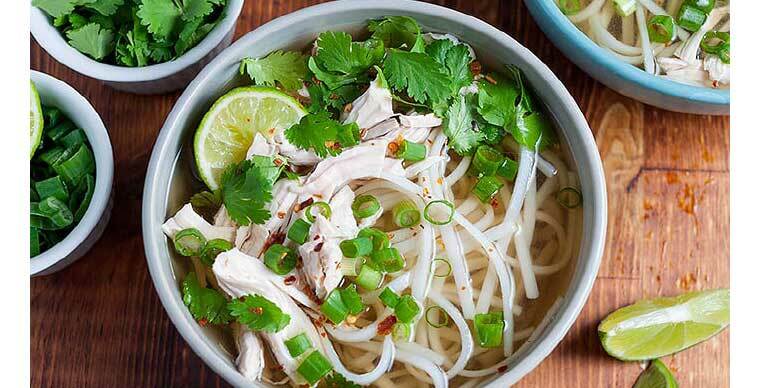 This classic Vietnamese cuisine consists of the broth flavored with spices and herbs with an incomparable taste which are added with rice pasta, slices of beef or chicken, soya beans, Thai basil leaves, coriander and asian chives. 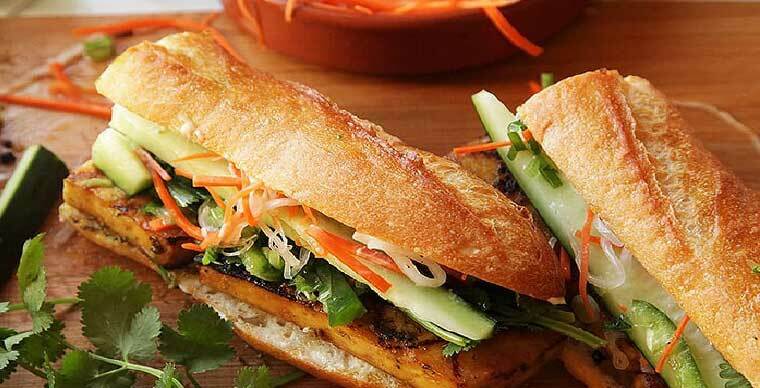 The Vietnamese sandwich, which is now internationally renowned, a kind of bread made of rice flour and wheat, a legacy of the French colonial period, which is garnished with pâté, pork or egg and accompanied by sweet and sour crudités, coriander and pepper. This sandwich brings together all the much appreciated qualities of Vietnamese cuisine. 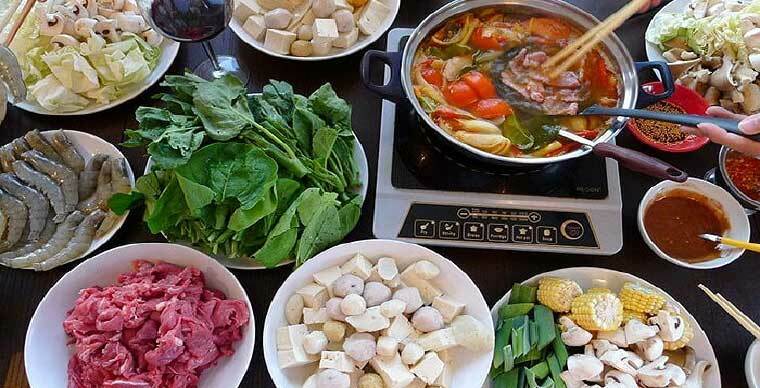 Typical dish of northern Vietnam, Vietnamese lau or known as “fondue” or “hot pot” is very popular with Vietnamese people in winter for its warmth and also because it is a very friendly dish. The guests sit around a small pot containing a simmering broth with multiple flavors in which they cook meat, seafood, vegetables and mushrooms. For more flavors, the dish also has a multitude of herbs. A Hanoi specialty not to be missed. Even Obama visiting Hanoi could not resist this typical dish of grilled pork rice vermicelli bathed in a sauce based on nuoc mam and pieces of green papaya. 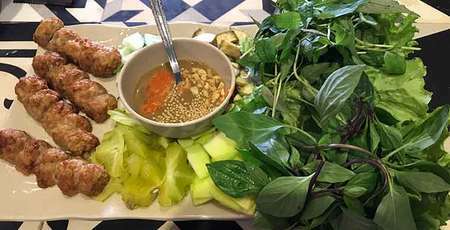 The whole is accompanied by salad and fresh herbs and sometimes spring rolls for the most greedy. A true delight that must be tasted during your visit to the capital of Vietnam. In this other specialty of Hanoi is the fish that is honored. 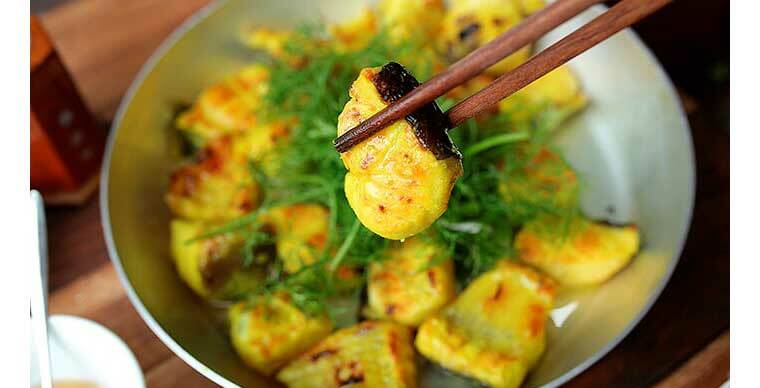 The cha consists of fleshy and savory fish fillets cut into bite-sized pieces, marinated in Indian saffron powder and finally fried over a charcoal grill. During cooking, basil, coriander, dill and young onions are added. The preparation is then savored with vermicelli of cold rice and roasted peanuts. 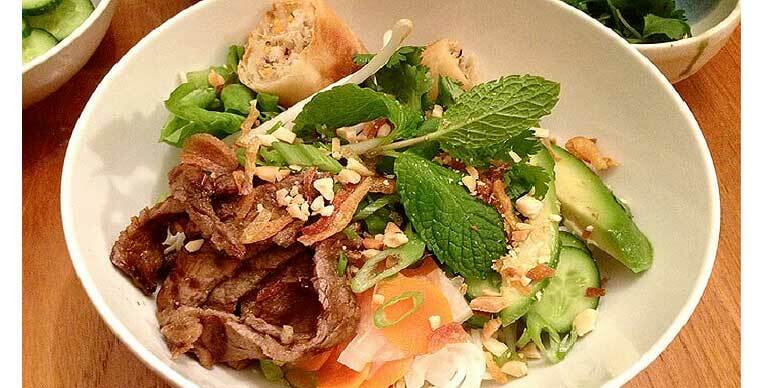 A dish as simple as good, Bun thit nuong is a very popular Vietnamese dish consisting of rice noodles topped with grilled pork, fresh herbs like basil and mint, fresh salad and pieces of “nem” (spring roll), carrot, cucumber marinated in a sweet and sour sauce. The dish is dressed with fish sauce and peanut. A balanced, refreshing and complete dish as beautiful to look at as good to eat. A delicious crepe made from rice flour and turmeric garnished with sliced or minced pork, shrimp, seeds and bean sprouts. 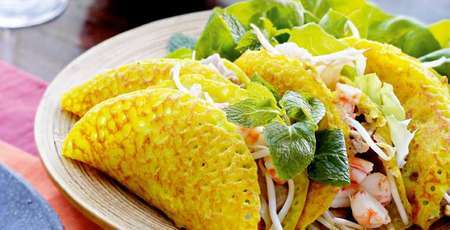 The crepe folds in half with salad leaves and aromatic herbs, and each bite is dipped in a sauce made from nuoc mam, the famous Vietnamese fish sauce. 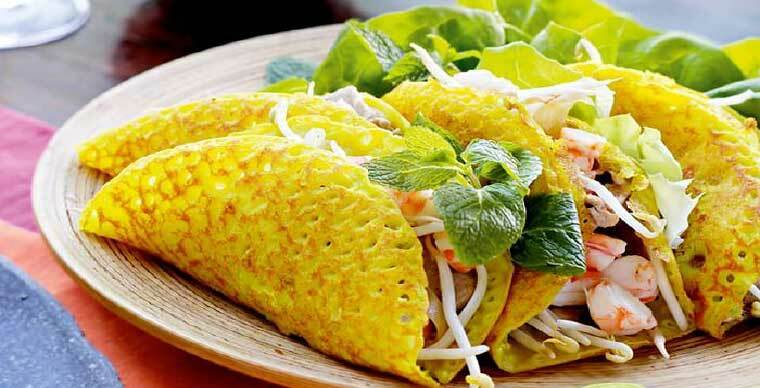 Banh Xeo is a gastronomic specialty of Hue and the Mekong Delta. 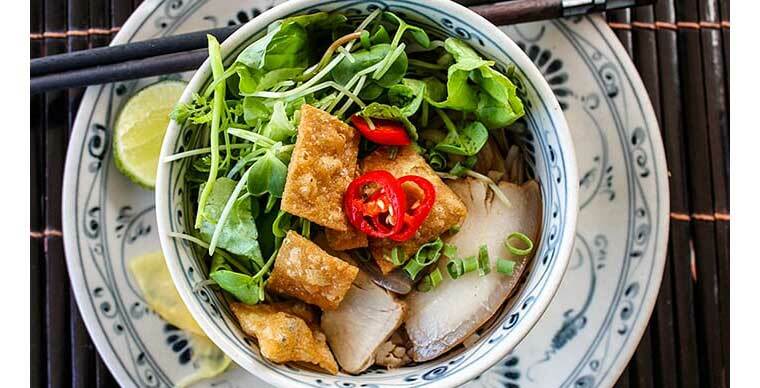 Cao lau is a typical dish of Hoi An city which locates in the Centre of Vietnam. 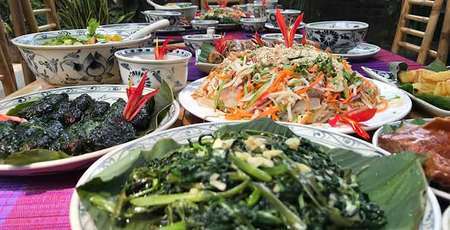 In centuries, this traditional dish has been formed from the culinary influence of different communities who lived in Hoi An (French, Chinese, Japanese, etc ...). The traditional Cao Lau version of Hoi An requires yellow pasta, shrimp, lean pork, some freshly cut herbs, rice cakes and a sweet and sour sauce that sprinkles it all. 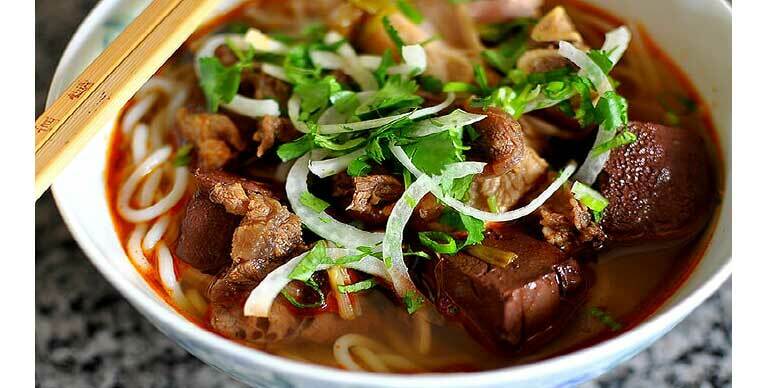 The emblematic soup of Hue, the ancient imperial city, a tasty, spicy soup made of rice noodles topped with thin slices of beef shank, pieces of oxtail, and pig feet. This mixture is complemented with coriander, finely chopped onion, shallot and banana blossom. 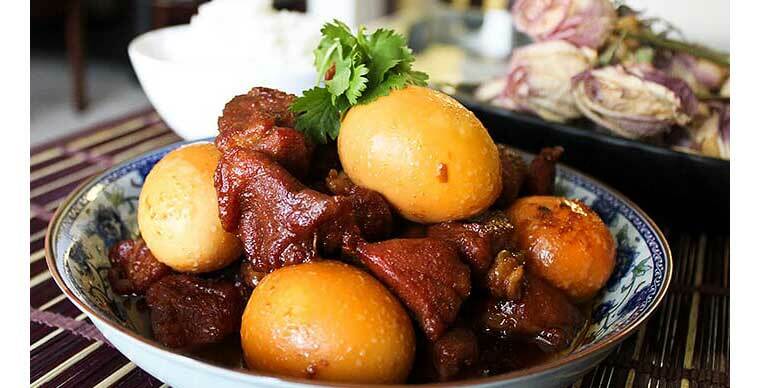 The caramel pork is one of the most popular dishes in Vietnam that is also served for the Vietnamese new year, Tet. This family dish has a beautiful color and a good sweet and salty taste which normally served with rice. 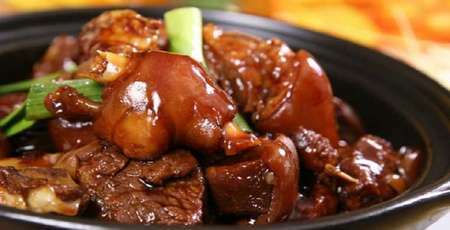 Every bite is like a concentrate of simmering flavors that the soft juicy meat feels like it’s melting in your mouth. 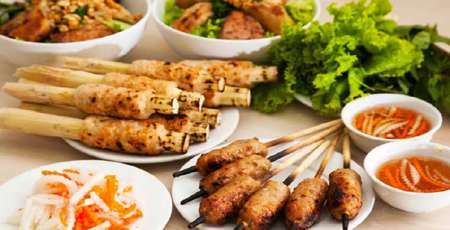 If you enjoy this trip to Vietnamese gastronomy, try to participate in a cooking class to discover the extraordinary richness of Vietnamese cuisine and uncover some of its secrets.